I heard the Messenger of Allah (ﷺ) saying, “Read the Qur’an, for it will come as an intercessor for its reciters on the Day of Resurrection. The Messenger of Allah (ﷺ) said, “The one who is proficient in the recitation of the Qur’an will be with the honourable and obedient scribes (angels) and he who recites the Qur’an and finds it difficult to recite, doing his best to recite it in the best way possible, will have a double reward. The Messenger of Allah (ﷺ) said, “Whoever recites a letter from the Book of Allah, he will be credited with a good deed, and a good deed gets a ten-fold reward. I do not say that Alif-Lam-Mim is one letter, but Alif is a letter, Lam is a letter and Mim is a letter. The Messenger of Allah (ﷺ) said, “He who does not memorize any part from the Qur’an he is like the ruined house. The Prophet (ﷺ) said, “Read the Qur’an regularly. 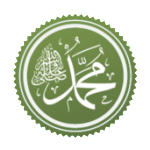 By the One in Whose Hand Muhammad’s soul is, it escapes from memory faster than a camel does from its tying ropes. The Prophet (ﷺ) said, “He who does not recite the Qur’an in a pleasant tone is not of us. According to another version, he (ﷺ) said to his Companions, “Is anyone of you incapable of reciting one-third of the Qur’an in one night?” They considered it burdensome and said: “O Messenger of Allah, which of us can afford to do that?” He (ﷺ) said, “Surat Al-Ikhlas [Say: He is Allah (the) One] is equivalent to one-third of the Qur’an. I heard the Messenger of Allah (ﷺ) saying, “There is a Surah in the Qur’an which contains thirty Ayat which kept interceding for a man until his sins are forgiven. This Surah is ‘Blessed is He in Whose Hand is the dominion.’ (Surat Al-Mulk 67). I heard the Prophet (ﷺ) saying, “He who recites the two Ayat at the end of Surat Al-Baqarah at night, they will suffice him. I heard the Messenger of Allah (ﷺ) saying: “Do not turn your houses into graveyards. Satan runs away from the house in which Surat Al-Baqarah is recited. The Messenger of Allah (ﷺ) said: “Abu Mundhir! Do you know which Ayah in Allah’s Book is the greatest?” I replied: “It is ‘Allah la ilaha illa Huwal-Haiyul-Qayum (Allah! none has the right to be worshipped but He, the Ever Living…)’.” (2:256) Thereupon he (ﷺ) patted me in the chest and said, “Rejoice by this knowledge, O Abu Mundhir! The Messenger of Allah (ﷺ) said: “Whoever commits to memory the first ten Ayat of the Surat Al-Kahf, will be protected from (the trial of) Ad-Dajjal (Antichrist). In another narration, the Messenger of Allah (ﷺ) said: “(Whoever commits to memory) the last ten Ayat of Surat Al-Kahf, he will be protected from (the trial of) Ad-Dajjal (Antichrist). -وعن ابن عباس رضي الله عنهما قال‏:‏ بينما جبريل عليه السلام قاعد عند النبي صلى الله عليه وسلم سمع نقيضًا من فوقه، فرفع رأسه فقال‏:‏ ‏ “‏هذا باب من السماء فتح اليوم ولم يفتح قط إلا اليوم، فنزل منه ملك فقال‏:‏ هذا ملك نزل إلى الأرض لم ينزل قط إلا اليوم، فسلم وقال‏:‏ أبشر بنورين أوتيتهما، لم يؤتهما نبي قبلك‏:‏ فاتحة الكتاب، وخواتيم سورة البقرة، لن تقرأ بحرف منها إلا أعطيته‏”‏ ‏(‏‏(‏رواه مسلم‏)‏‏)‏‏.‏ ‏‏النقيض‏:‏ الصوت‏‏. While Jibril (Gabriel) was sitting with the Messenger of Allah (ﷺ), he heard a sound above him. He lifted his head, and said: “This is a gate which has been opened in heaven today. It was never opened before.” Then an angel descended through it, he said: “This is an angel who has come down to earth. He never came down before.” He sent greetings and said: “Rejoice with two lights given to you. Such lights were not given to any Prophet before you. These (lights) are: Fatihah-til-Kitab (Surat Al-Fatihah), and the concluding Ayat of Surat Al-Baqarah. You will never recite a word from them without being given the blessings it contains.